Bushtec is known for the best performing, engineered and safest motorcycle pull behind trailers and hitches on the road, with safety, style and top quality fit and finish you will find nowhere else. 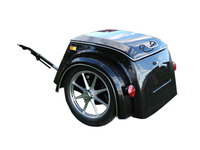 Our motorcycle touring trailers feature no bounce, no push-pull, a 360-degree swivel joint, acting in concert with your bike so you won't even know it's back there. 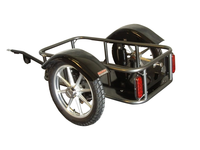 Plus we make top-quality trailer motorcycle hitches for hundreds of American and Import motorcycles, and loads of parts and accessories to let you customize your trailer. Check out our motorcycle Hitch Installation Instructions, now available for download in PDF format for many of our Hitch models. Don't see your motorcycle make? 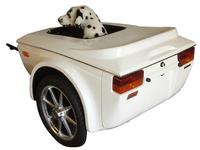 Please contact us and ask about the availability of hitches for your make and model. You can email us at info@bushtec.com or call our Customer Care Center at 888-321-2516.